We made a nice big batch of this so we could enjoy this for lunch all week long! We start off with hard boiled organic eggs. We used only the whites for a low-fat, low calorie salad! 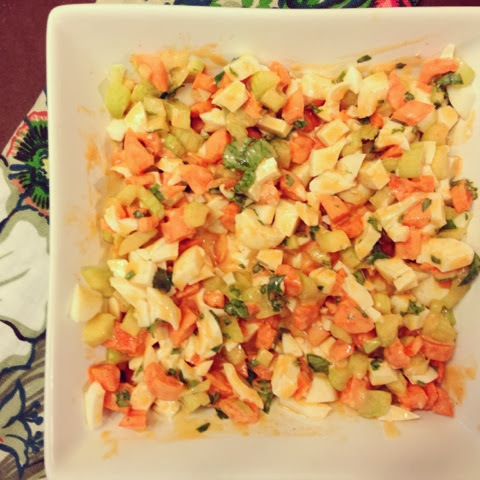 The crunchiness comes from chunks of both celery and carrots! We added in another flavor punch with our favorite herb, cilantro! 1. Add chopped egg whites (discard yolks) to mixing bowl. 2. Whip together equal parts yogurt with buffalo sauce. 3. 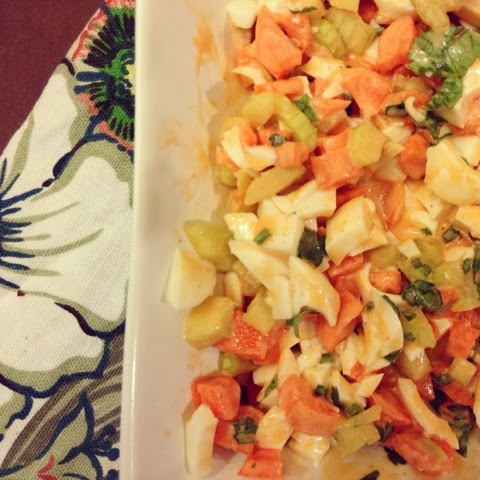 Stir buffalo sauce into egg whites along with carrots and celery. Serves 4 healthy portions! Enjoy!